Speeding in a construction zone or in an accident reduction corridor (ARC) zone can result in costly fines, along with having points assessed on your driver’s license. If you have received a ticket for speeding in a construction zone or in an ARC zone, you can fight the traffic ticket and avoid heavy fines and points on your record. 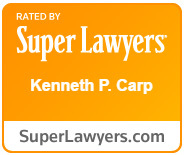 Do not pay the traffic ticket without talking to a skilled St. Louis defense attorney from the Law Office of Kenneth P. Carp. Call us at 636-947-3600 for a free initial consultation. If you were pulled over for speeding in a construction zone and get a ticket, the fine will be double that of a speeding ticket in a non-construction zone. Additionally, if construction workers were present, the fines will increase exponentially. With more than 20 years of legal experience, our St. Louis defense attorneys offer detailed guidance and help you understand your options. In many situations, we can have the ticket reduced to a non-moving violation. Or, in some cases, we can get the judge to agree to a Suspended Imposition of Sentence (SIS), which results in unsupervised probation. We strive to build a strong defense for each client and to obtain the result that best fits their situation. Certain areas in the northern portion of St. Louis County have ARC zones. The roads in these areas have been designated as having a higher percentage of accidents, and efforts are being made to watch speeding and enforce the law on these roads. If you receive a ticket for speeding over 65 mph when the posted speed limit is 65, you can face highly inflated fines. Our attorneys will fight to have the ticket reduced to a non-moving violation, helping you avoid fines and points on your license. Mailing in the fine for a Missouri traffic violation or paying through a local fine collection center is the same as pleading guilty in court. Points will go on your driving record, and your license could potentially be suspended. Talk to an experienced attorney today to learn your options and avoid heavy fines. Call the Law Office of Kenneth P. Carp at 636-947-3600 for a free consultation. You can also contact us online.